We just finished our butterfly lessons with The Good and the Beautiful Arthropods, and I have to admit it is one of my favorite lessons ever! 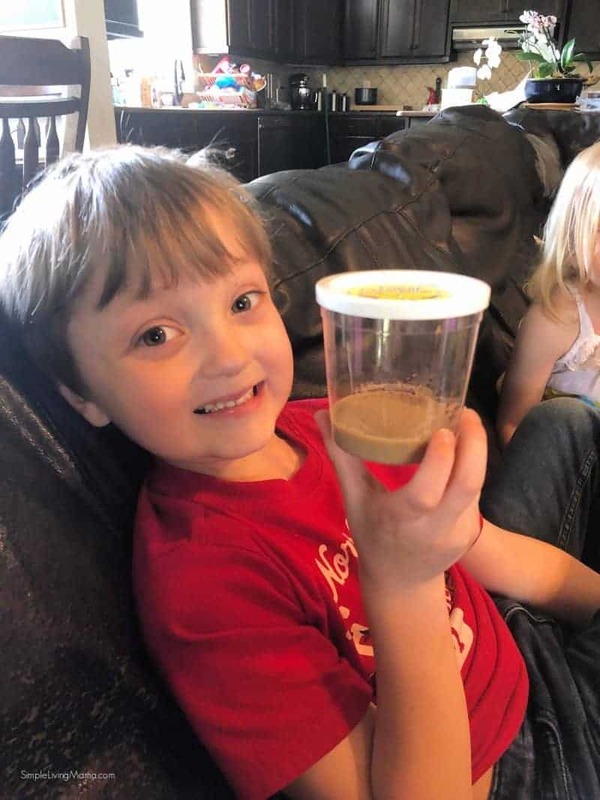 I’ll never get tired of explaining this process to my kids and actually experiencing the process of metamorphosis with them. 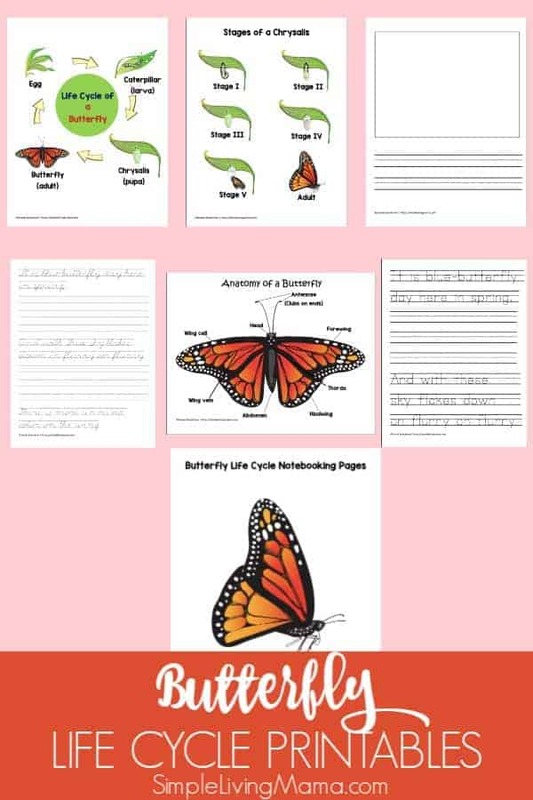 For these lessons, I created life cycle of a butterfly printables for our science journals. I thought some actual notebooking pages would really help us solidify our understanding. The first lesson we did with our Arthropods unit was butterfly identification. 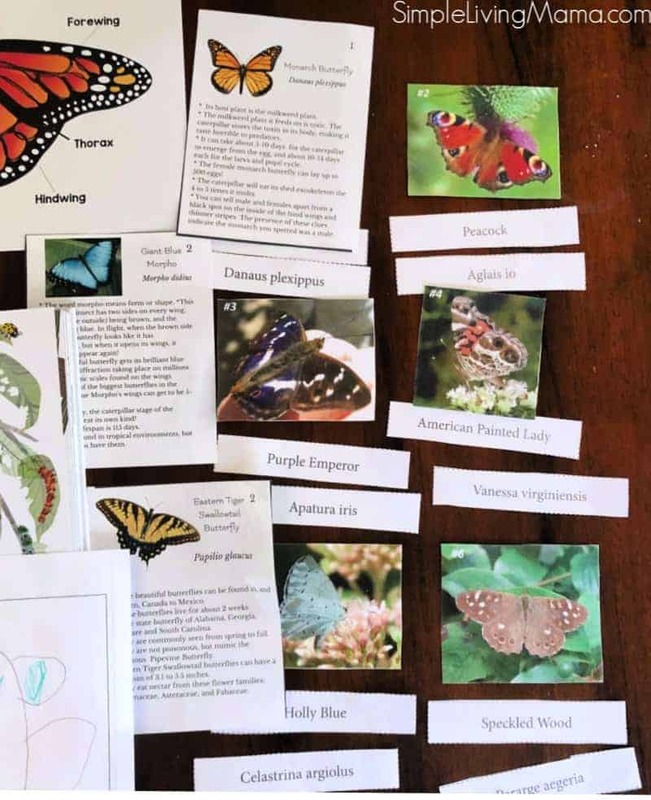 I used the printables included with the unit, our nature study printables from The Homeschool Garden. and the printables included in my notebooking pages pack. 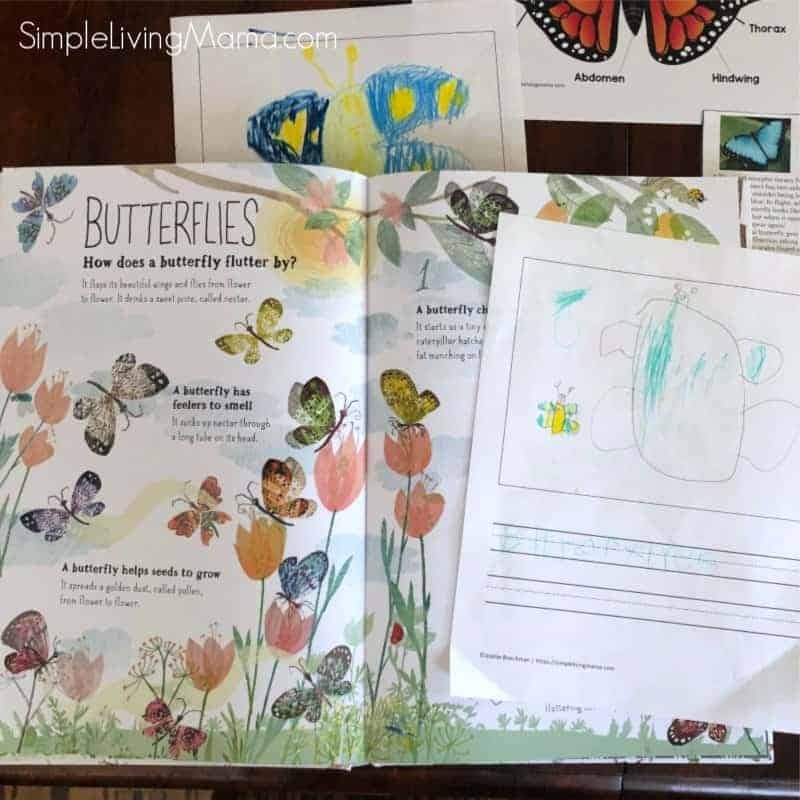 The kids took a look at butterfly anatomy, learned how butterflies eat, learned about how many different species of butterfly has been identified around the world, and drew their own butterflies. 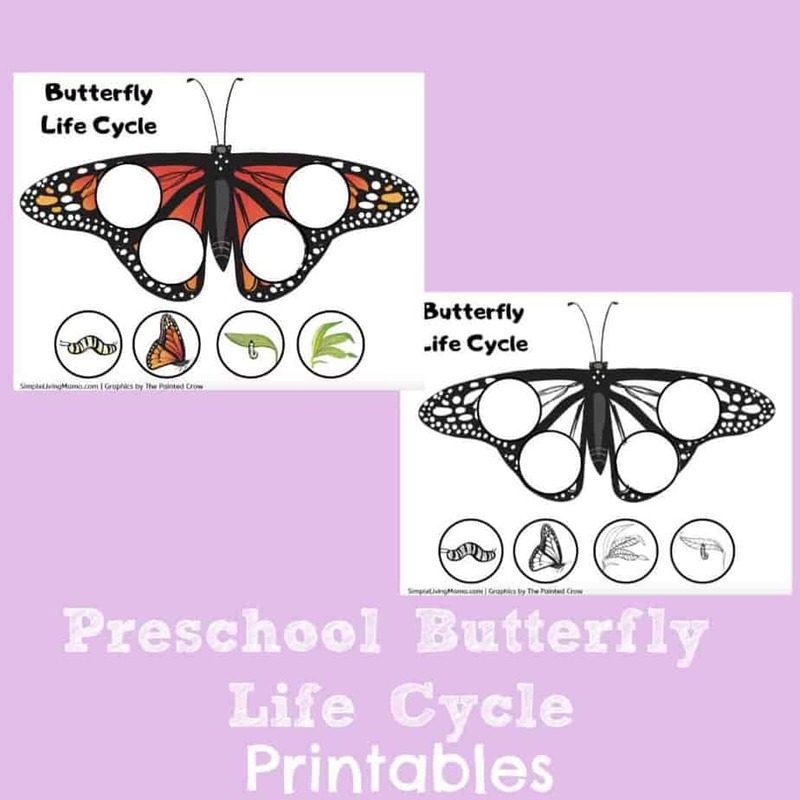 Next, we learned about the butterfly life cycle. 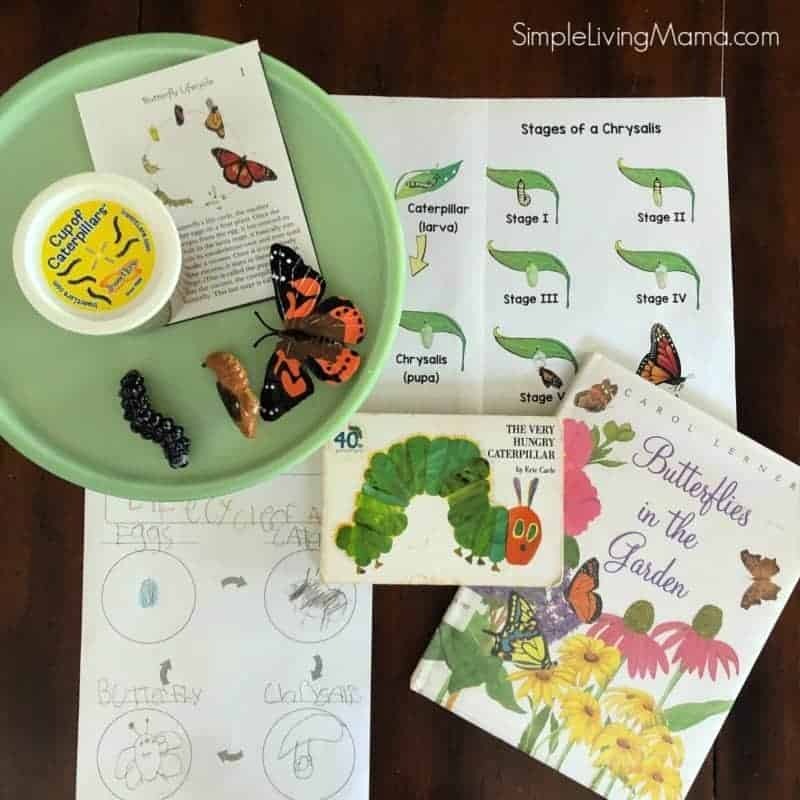 The kids illustrated the life cycle of the butterfly, learned about the different stages of a chrysalis, and began to observe the transformation first hand with our Painted Lady caterpillars from Insect Lore. Our caterpillars also came with the stages of the butterfly life cycle toys, but my baby misplaced the egg! We love pulling in lots of books to learn about our science studies. I’m using The Big Book of Bugs for our entire Arthropod unit, and I’m also using Christian Liberty’s Nature Readers Books 1 and 2 for individual lessons. I found some lovely picture books that we have read before, but love them all the same. We had a lot of fun trying to pronounce the scientific names of these butterflies, but we could easily identify them by their common names! The kids had a blast trying to label them all! 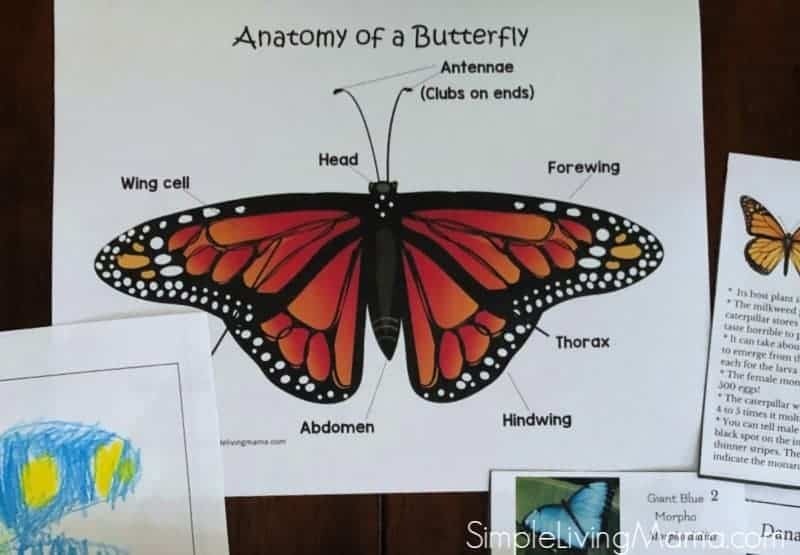 I really like the anatomy poster included in my butterfly life cycle notebooking pages set. We discussed how butterflies taste with their feet. We learned that butterflies do not have lungs, but they have sporacles on their abdomens to breathe. We learned how the butterflies use their wings to help warm their bodies. It was so interesting. 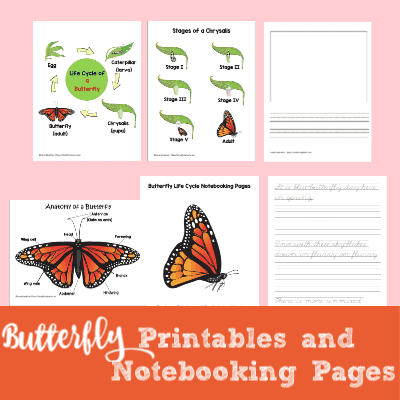 If you’d like to snag a set of butterfly printables and notebooking pages, hop on over to the shop and pick it up! Have preschoolers? 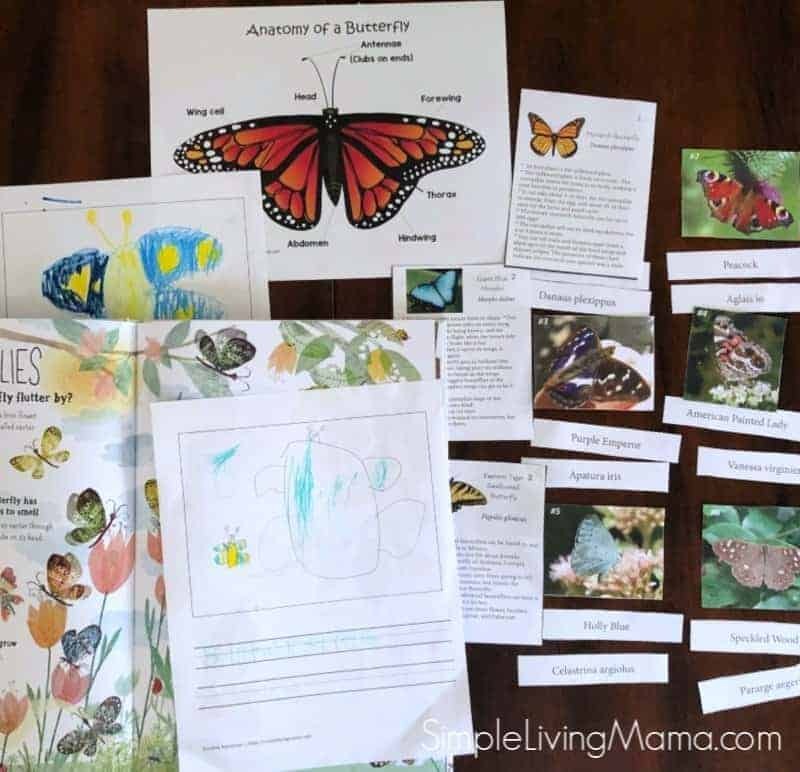 Get a FREE Butterfly Life Cycle Printable!